The internet has changed lives every day. It has changed how we learn, work, and communicate. It’s also changed how we celebrate the holidays – let’s just hope that Santa doesn’t get cheap on us and start sending us presents through email. One of the biggest ways that technology has impacted the holidays is by changing the way that we shop. When I was younger it was always a big thing for my family to go to the mall and we would split off individually to do shopping for each other. My brother and I would also get dropped off with neighbors or family occasionally so my parents could go out Christmas shopping alone. That doesn’t happen anymore – partly because we are older now and on our own, but because we rely on the internet for shopping instead of heading to the nearest mall. For me, the days of fighting crowds and waiting in lines to checkout are in the past as I do the majority of my shopping online. It’s not even December – yet I’ve already purchased the majority of my Christmas presents for family and friends. 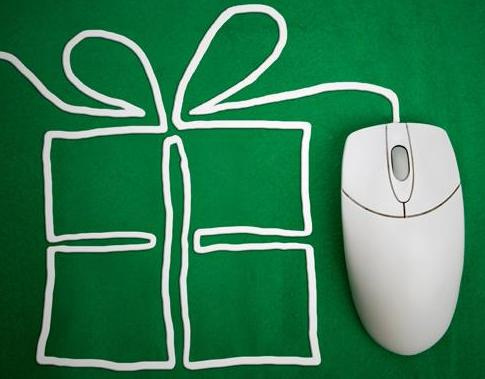 95% of those gifts were purchased online through different vendors such as Woot.com, Amazon, eBay, American Eagle and Wal-Mart. Shopping online is extremely convenient. It has evolved a lot over the years and continues to evolve every day. With security risks becoming less of a threat these days, a lot of people are opting out of shopping brick-and-mortar and turning to the awesomeness of online shopping. It saves time and energy, better deals can generally be found online than in stores, wider varieties of products can often be found online, products can be easily compared, reviews can be easily accessed and it opens up our shopping experience to a global market. It also helps keep the magic of Christmas alive for children. I know when I was younger the magic of Christmas was ruined for me after finding multiple presents stowed away in an upstairs closet. Now, however, parents can have presents shipped to the house (sometime already gift wrapped) and they can stay in the boxes until it’s time for wrapping. While there are some perks to shopping in the store (such as tangibly feeling the product or demoing it), I think online shopping (especially online holiday shopping) is going to get even more popular as the years pass by. I know I’m going to sound like Scrooge, but I personally hate the greeting card industry. My motive behind my hatred is because I think greeting cards are 1) expensive, 2) a waste of trees, and 3) they are generally trashed after Christmas or other occasions. I never send out tangible greeting cards – instead I send out handy dandy e-cards (electronic card). I also like receiving e-cards more than tangible greeting cards because I don’t feel as bad deleting the email as I do when I trash greeting cards because I feel like I’m killing a tree and wasting $3.50. E-cards have definitely become a part of my holiday tradition. I actually just sent an e-card to family on Thanksgiving and plan on doing it as Christmas gets closer. Christmas decorating has also changed over the years thanks to increased technology and the internet. I remember when I was younger we would put that tacky, silver tinsel on the tree that would never go away. It would be the middle of July and you’d be vacuuming and sure enough you would find tinsel on the ground. We also had those ugly wicker reindeer and that plastic nativity set – which my brother burnt down one year. 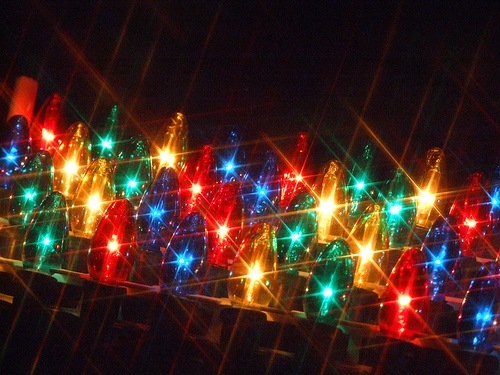 In this day and age, we have inflatable and animatronics Christmas characters, LED lights that flash and that can be synchronized with music. There are even apps now, both mobile and desktop, that will allow you to turn your Christmas decorations on and off without ever touching a light switch or power bar. Back in the day, Christmas use to be that one big holiday where everyone got together. My family would always gather at my grandfather’s house for Christmas. When I say family, I mean all my family. I would have aunts, uncles, and cousins I never got to see driving and flying in from all over the United States to be together for Christmas. With the recent economic pressures, it’s not as easy as to jump on a plane and with gas prices the way they are driving 600 miles isn’t what it used to be. So a little holiday tradition that my family has adopted over the past few years is keeping in touch with each other via video chat, provided by Skype. Granted we couldn’t all be together on the same screen, (at least not in the past, but with Skype’s 5.0 update with 10-way video calling we will be able to do that this year), we would still Skype each other for a few minutes and say our “Merry Christmases”. Another holiday tradition that has become one of my favorites is tracking Santa during December using NORAD Santa. NORAD Santa started back in the 50s when an advertisement ran Santa’s phone number, which actually was the number for the Continental Air Defense Command. Playing along with the hundreds of calls they received from kids looking for Santa, they tracked him on their radar system and gave updates. That tradition lives strong 60 years later. 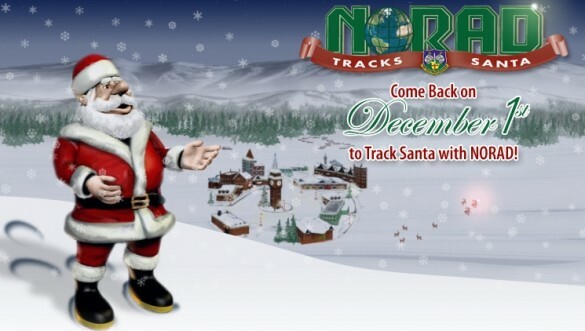 Today NORAD Santa can be tracked via their website, their twitter and/or by their Facebook. By following the website, their status updates or their tweets, starting December 1, you will able to get information on what Santa’s up to and starting on Christmas Eve you will be able to know where Santa is delivering presents. Last Christmas, my family really got into it and on Christmas Eve when we were all sitting around stringing popcorn for the Christmas Tree, I would get updates every few minutes from Twitter. It was neat to see where Santa was and what he was up too. At least my niece thought it was neat. The internet has also had an impact on Christmas music. When I was younger my mom would play Dolly Parton’s Christmas over and over and over again. I can still hear Hard Candy Christmas in the back of my head. We listened to that cassette tape because it was one of the only Christmas cassettes we had. Now with the evolution of online radio and playlists, such as Pandora, Grooveshark, and Playlist.com, you can build endless Christmas music playlists, stations and queues so that you never have to hear Dolly Parton more than once. While some traditions have faded, others have evolved and new ones have been formed – it’s obvious that the internet has had an impact on the holiday season. But is that a good thing? I think so! I’m very glad that I was born when I was. I would have hated to be alive back in the day when you had to cut down your own tree, carry it across the forest to your house, scare the squirrels out of it and then decorate with it real, burning candles. I know – it sounds exhausting. I’m very thankful that I live in the day and age that I live in. 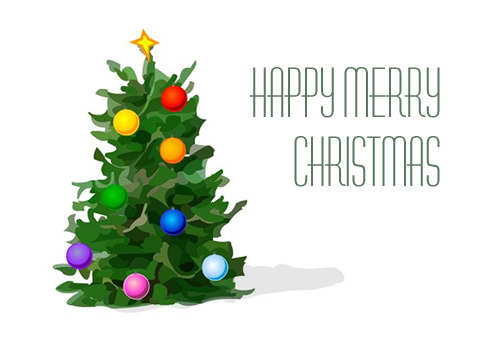 Because of technology, especially the internet, we have so many opportunities to communicate, be more efficient, and share in the joy of Christmas.